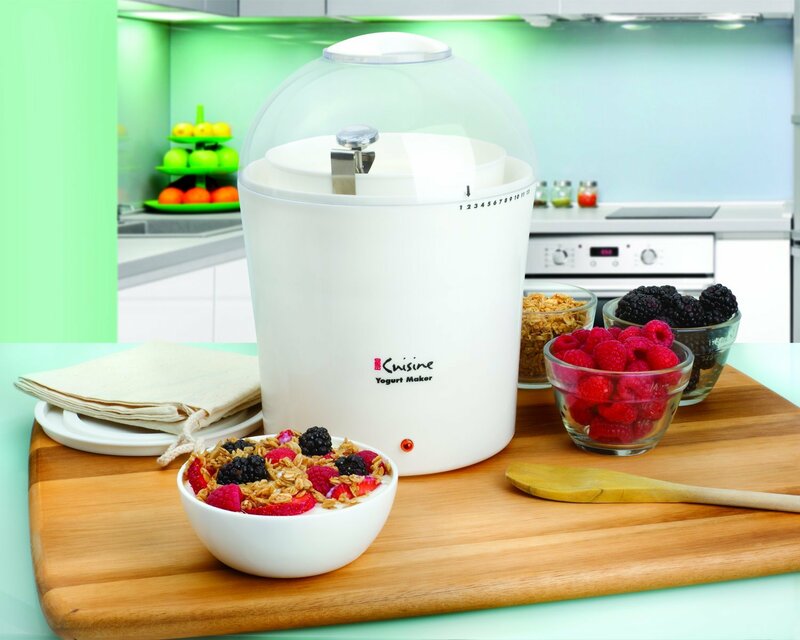 Who said you always need electricity to make yogurt? 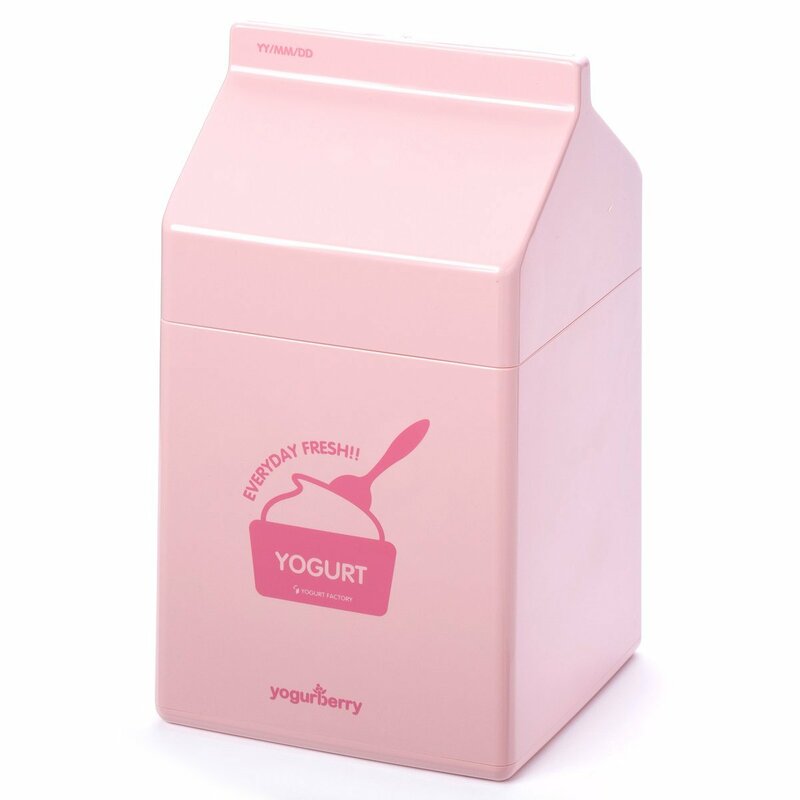 If for some reason you cannot use electricity or want to stay eco-friendly, or simply prefer this method, but still fancy a cup of homemade yogurt, then let me introduce you to the Yogurberry yogurt Maker. 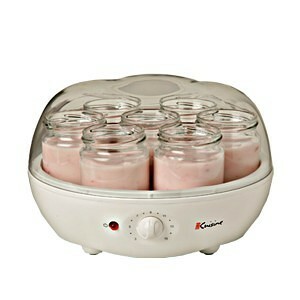 It is probably one of the most fun yogurt makers on the market and provides excellent results. I find the design quite playful although they call it fancy. It looks more like a food package, contrary to container shaped yogurt makers that have flooded the market. I know there are some who might not like this, but I think it is cute. Coming to the color, it continues being fancy. It comes in pink or white. Whatever will suit your taste, go with it. But in my opinion, I think the colors are inclined to the feminine side. Like the name suggests, the Yogurberry does not need electricity to function. Now this in itself a great feature. There are other families who do not live on the grid or have unreliable electricity. Likewise, anyone who for some reason does not want to use electricity will find the Yogurberry useful. 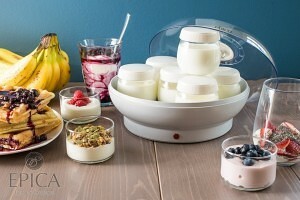 Making yogurt is quite easy and fun thanks to its design. Basically, here are the steps. Mix the yogurt and milk in the cup and close the lid. That is how the process works. As you can see, it is very simple. 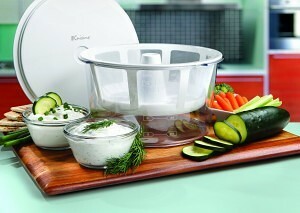 As for the yogurt this maker produces, it is surprisingly great. You can even use your own flavors and it will still turn out great. However, there are some limitations. Firstly, there is only one cup included and it cannot hold a huge amount of yogurt. If you have a big family, you are out of luck. Unfortunately, you cannot get a bigger size cup that will fit in the body. 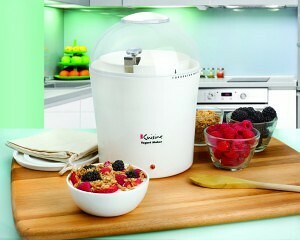 This will be very appealing to people who make yogurt for themselves casually. Again, it will be very appealing to kids because of its fancy design and ease of use. 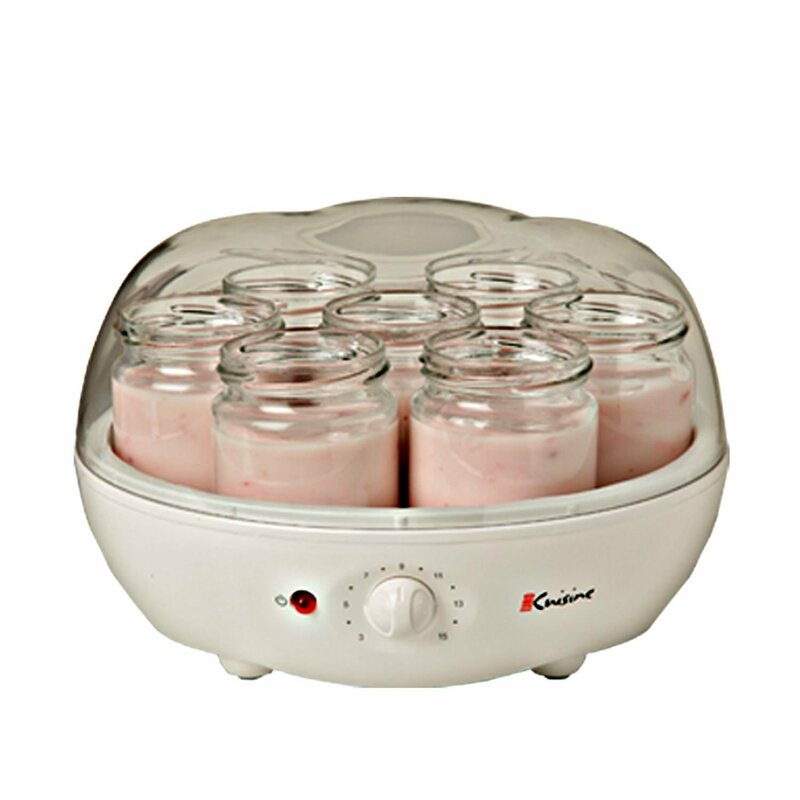 And talking about its ability to operate without electricity, it might be a great tool to take out for camping (but you will have to drink your yogurt instantly as it needs to be kept in a refrigerator). As for cleaning, this is the easiest. You can do it in less than a minute or two. 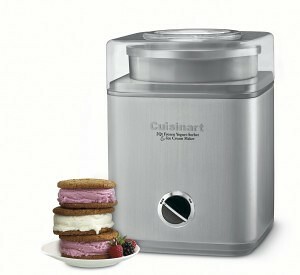 If you are looking for a simple yogurt maker that is fun and easy to use, look no further than the Yogurberry. Its ability to operate without electricity is a bonus. But be sure you know what you are getting as making yogurt for the whole family is not the best. Buying and eating store-bought yogurt can be a pain: in addition to being fairly expensive, these yogurts are always chock full of sugars and artificial ingredients, negating a good deal of the health benefits that are the very reason we buy yogurt in the first place. So what’s a girl to do? I recently came across some articles discussing the health (and cost) benefits of making your own yogurt. I was intrigued, but after seeing that the process can take up to twenty hours depending on the recipe, I was dismayed. I did try to make my own batch three times without an electric maker but got very discouraged: I never got the consistency I wanted and it was a real pain to heat the milk and maintain multiple different temperatures for a very specific set of time. When my yogurt came out and tasted a little below average, I disappointed to have wasted so much time. I was still interested in the health benefits of homemade yogurt, however, so I decided to give the Epica Electric Yogurt Maker a try. This yogurt maker comes with seven 6-ounce jars so you can make multiple flavors at once and your serving sizes are already placed conveniently in their own jars. The timer on the lid of the maker can be set anywhere between six and twelve hours so you can set the “cook” time to match your desired yogurt consistency. 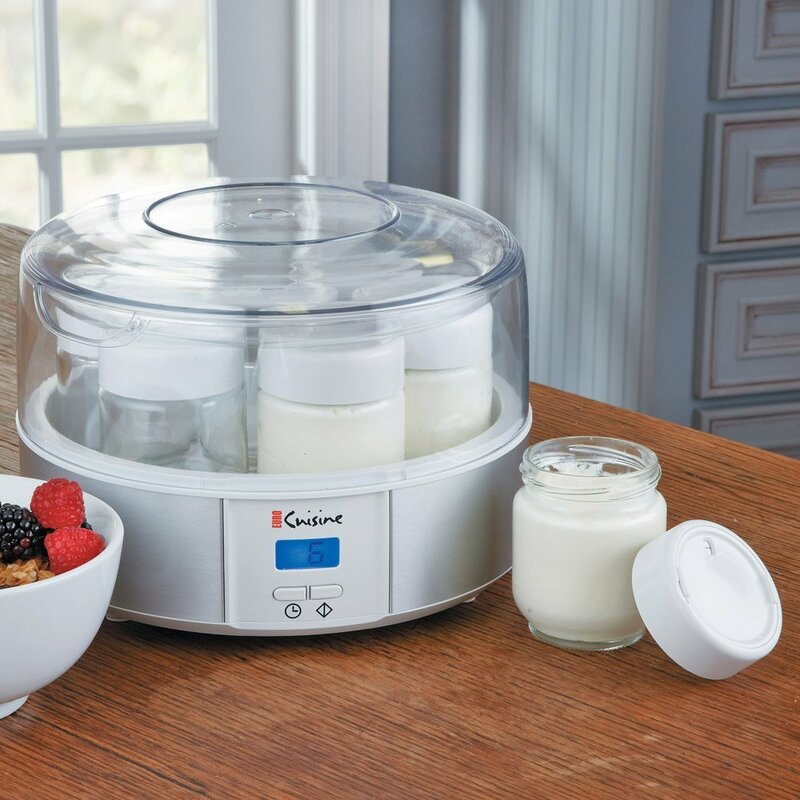 Using the electric yogurt maker ensures that your yogurt will always be at the right temperature and required settings for perfect and healthy yogurt. There’s no need to constantly check on your yogurt’s progress – let the electric maker take care of it all! My first batch came out perfect, better than store-bought yogurt, and it could not have been easier to make! Preparing the batch for the maker took less than ten minutes, such a difference from the hour I spent trying to make mine by hand. All I had to do was boil the milk, stir in the starter culture after the milk cooled, and filled the jars. The instruction manual was a dream for a first-timer and was much clearer and easier to follow than some of the make-by-hand recipes I had been finding on the Internet. I made it after dinner and by the time I woke up the next morning I had fresh yogurt ready to go! I was shocked when I tasted it – that was real yogurt. It made me really appreciate how full the store-bought yogurts are of artificial flavors. When I became more comfortable with the electric maker I began experimenting with different flavors and I could not be happier. One gallon of milk will make three batches (or twenty-one jars) of the yogurt so you can experiment with countless variations of flavor. The maker itself weighs less than four pounds and is less than nine-and-a-half inches in diameter, which makes it the perfect size to either sit on your counter and not take up much space or store in a cabinet to easily pull out whenever it is needed. In addition to the instruction manual, the yogurt maker also comes with a variety of ingredients to guide you and let me tell you, they are delicious! 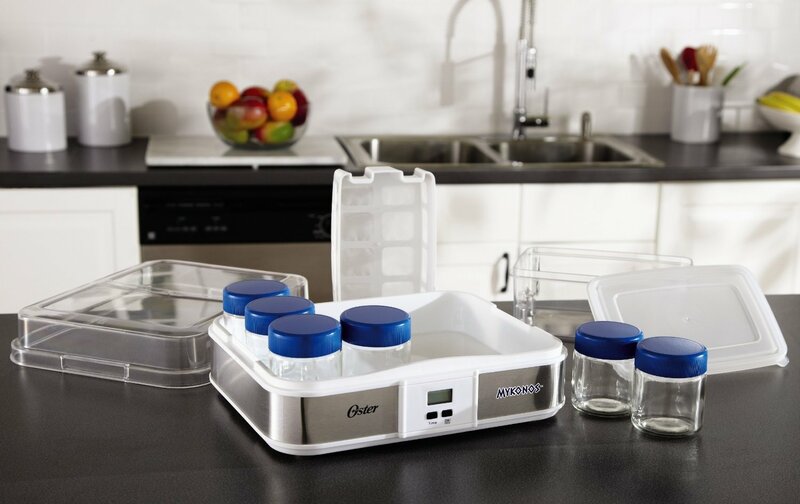 The yogurt jars are all dishwasher-safe, making cleanup even easier (if that’s possible) and if you break a jar you can easily replace it with a baby food jar or something of similar size. I would absolutely recommend this product to anybody looking to find a healthier, cheaper solution to store-bought yogurt but does not want to devote hours to making their own. This entry was posted in Epica.